Cardiomyocytes derived from human pluripotent stem cells (PSC-CMs) are a promising tool for studying drug effects in pre-clinical cardiotoxicity and pro-arrhythmia screenings. However, with current differentiation protocols the generated cells display an immature, fetal-like phenotype in regard to cell structure and electrophysiological properties. This raises the question if drug response data generated with immature cells are representative of mature cardiomyocytes. In a recent publication, Monteiro da Rocha et al. (2017) introduce a novel platform for the direct comparison of fetal-like and mature cardiomyocytes in drug screening. The assay uses human pluripotent stem cells (PSCs) that are either differentiated into fetal-like cardiomyocytes or further matured into adult cardiomyocytes using a previously described extracellular matrix (Herron et al.2016). 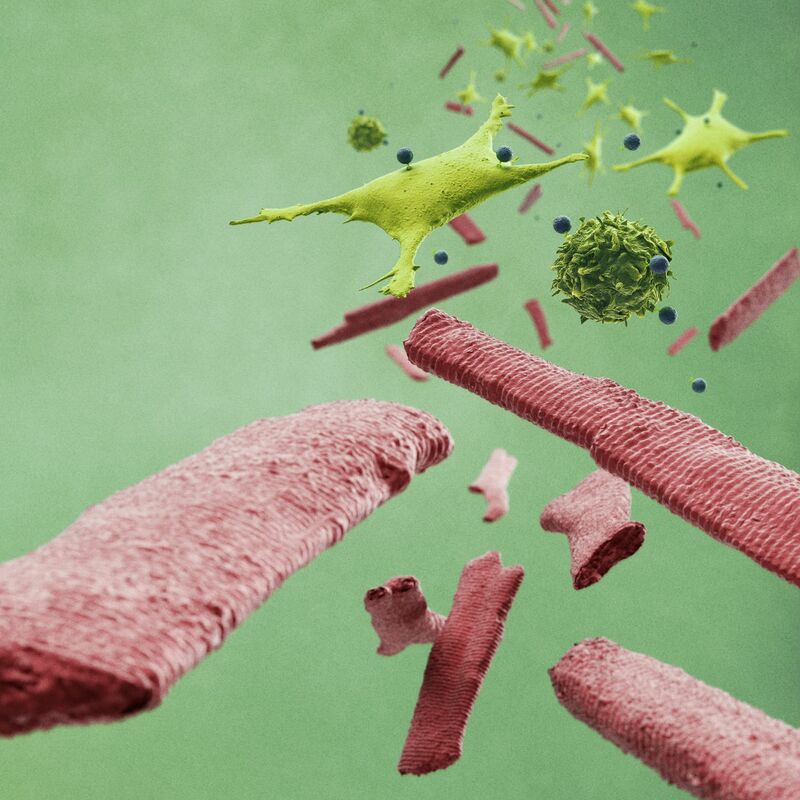 To exclude unwanted side effects through contaminating cells, the differentiated cells were purified using the PSC-Derived Cardiomyocyte Kit, human. With this method, purities of up to 98% were routinely achieved, thus eliminating the need for time-consuming genetic or metabolic selection methods like lactate starvation that might cause unwanted physiological changes. Cell purity was fully comparable to commercially available PSC-CMs. The authors observed a clear correlation between maturation state and drug response. More specifically, they could show that fetal-like CMs exhibit higher sensitivity to the tested compounds than mature PSC-CMs. Therefore, the maturation state of PSC-CMs is a critical parameter for pre-clinical pro-arrhythmia and cardiotoxicity screens. The authors conclude that their novel platform enables drug screening on both, fetal-like and mature cardiomyocytes, allowing a comprehensive examination of drug effects during cardiac development.